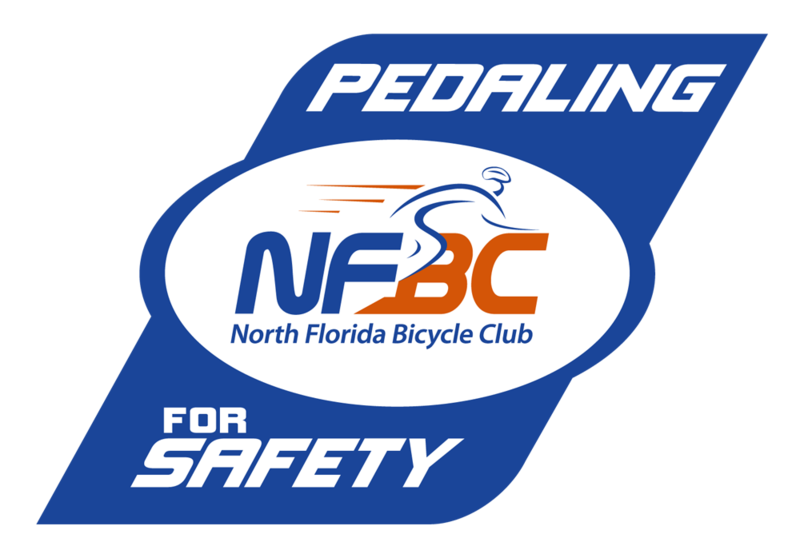 North Florida Bicycle Club has a long tradition of promoting cycling safety. In 2016 Pedaling for Safety was incorporated in the State of Florida as a non-profit (Articles of Incorporation) and approved by the IRS as a 501(c)(3) tax exempt corporation (IRS determination letter). We have funded billboards at multiple sites along the First Coast and radio spots. 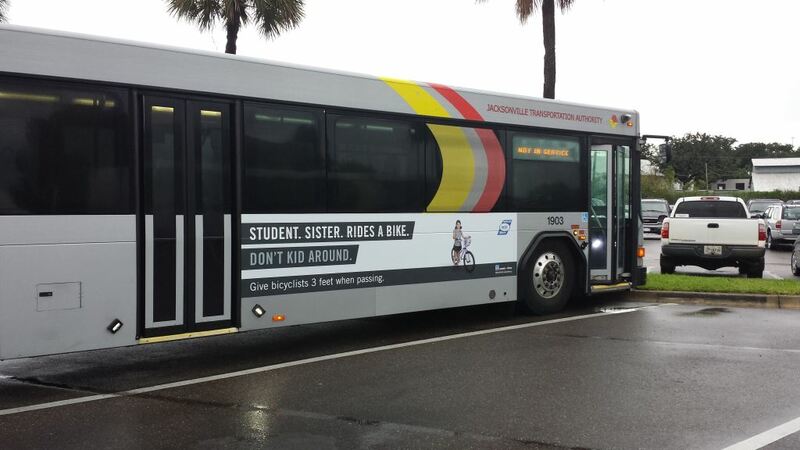 We have displayed our safety message on 25 Jacksonville Transportation Authority buses and distributed car door magnets and bumper stickers promoting our campaign. 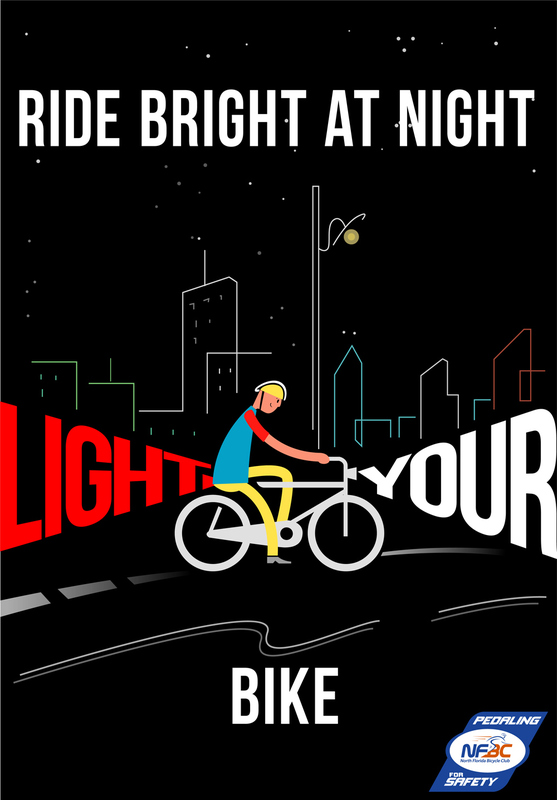 Our Ride Bright at Night initiative began in February 2015 with the placement of posters on bus shelters, targeting corridors identified by the Jacksonville Sheriff's Office (JSO) with high citation rates for bicyclists riding without lights. JSO has distributed 1000 set of lights to patrol officers to hand out to cyclists riding at night without lights in lieu of citations. We have placed posters at local bike shops and on public bulletin boards at receptive businesses. We are continuing our outreach to community shelters and surrounding counties. The North Florida Bicycle club has dedicated a significant percentage of the profits from the Tour de Forts ClassicSM and Endless Summer Watermelon RideSM to the Pedaling for Safety Campaign. Your generous donation will help make it safer for people who bicycle along Florida's First Coast. A COPY OF THE OFFICIAL REGISTRATION AND FINANCIAL INFORMATION MAY BE OBTAINED FROM THE DIVISION OF CONSUMER SERVICES BY CALLING TOLL-FREE WITHIN THE STATE. REGISTRATION DOES NOT IMPLY, ENDORSEMENT, APPROVAL, OR RECOMMENDATION BY THE STATE. TOLL-FREE NUMBER IN FLORIDA 800-435-7352 OUT-OF-STATE 850-410-3800 WWW.800HELPFLA.COM. REGISTRATION NUMBER CH49618. For inquiries, contact us at P4S@nfbc.us.